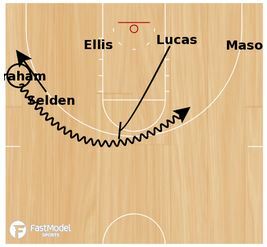 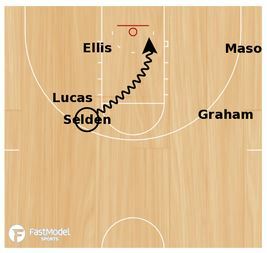 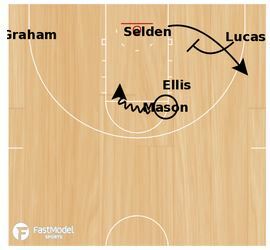 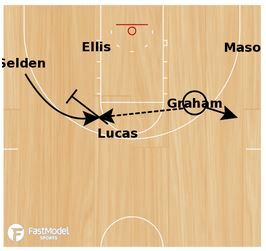 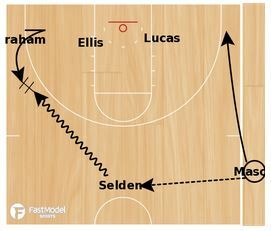 Both of these out of bounds plays were contributed by Bert DeSalvo to the FastModel Sports Basketball Plays and Drills Library. 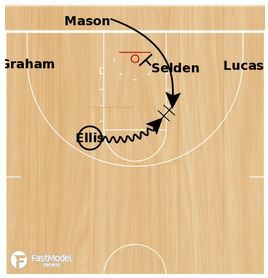 They were run by the Kansas men’s team against Oklahoma in their triple-overtime victory on January 4, 2016. 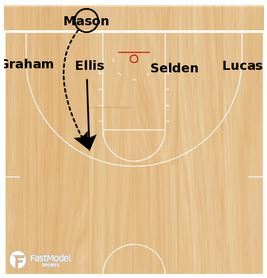 The set has multiple options if opponents take one option away.